Waste tyre to oil plant from Beston employs the advanced pyrolysis technology to recycle waste tyre to oil. Through tyre to oil recycling process, you can get about 45-50% tyre oil, 35% carbon black and 15% steel wire. All these end products are of great value to make the business profitable. Moreover, it converts tyres into oil to greatly reduce the “black pollution”, which is also an eco-friendly business. 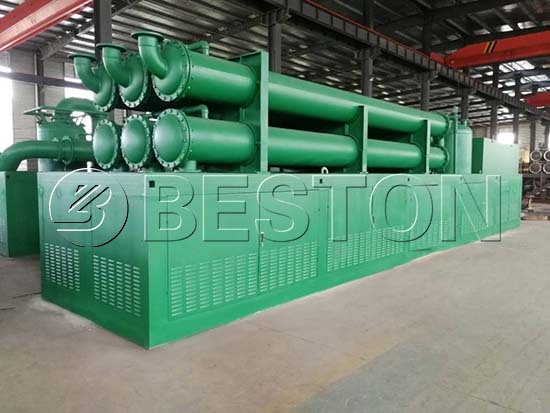 Especially, except for high-quality tyre oil machine for sale, Beston Machinery also provide customers with professional service and reasonable price. 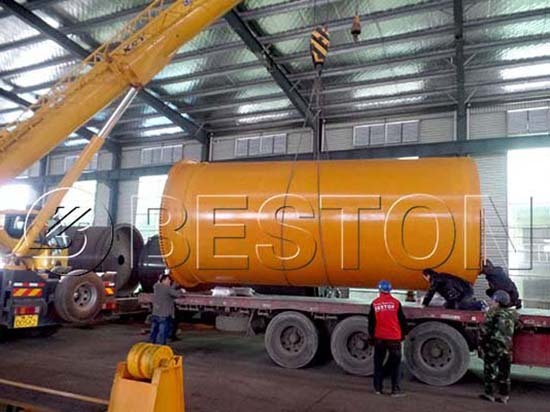 That’s why Beston tire to oil plant is very popular around the world. Here are some of our successful cases. 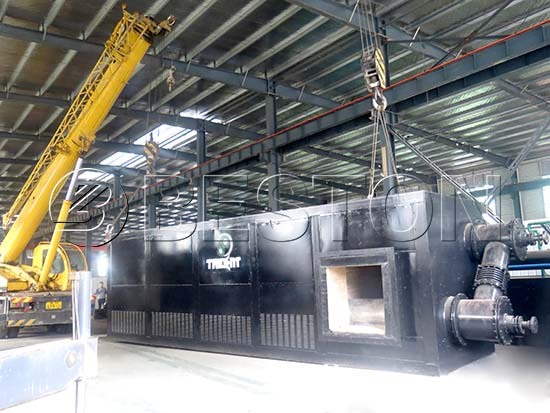 It is the first production of a waste tyres pyrolysis plant. You can purify it with an oil distillation plant to get non-standard diesel to burn by vehicles. You can sell the carbon black directly. Also, you can reprocess it into high-quality carbon or carbon brick. It is also a main final product from tyre to oil plant. You can get it through drawing machines and then sell directly. Or you can make it into steel bloom by hydraulic press-packing. It can be used as fuel to heat the reactor. In this way, you can save money on fuel costs. 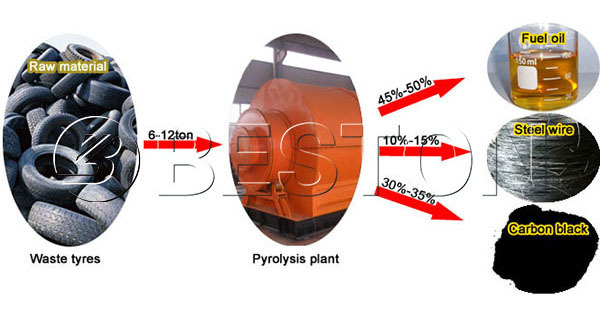 It is proved that the tyre pyrolysis plant cost of Beston is reasonable and cost-efficient. Because we have developed mature pyrolysis technology to improve the oil yield and quality. The old tires can be fully recycled by the tire to oil process. Meanwhile, we have optimized the pyrolysis reactor design to make full use of the heating resource and improve the working efficiency. In this way, the tyres to oil machinery from Beston will be more cost-effective. 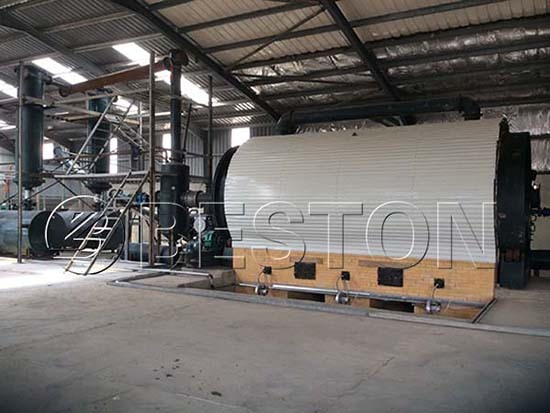 As mentioned, we have four models of tyre pyrolysis plants for sale. Customers can choose a suitable plant according to the scale and working method. 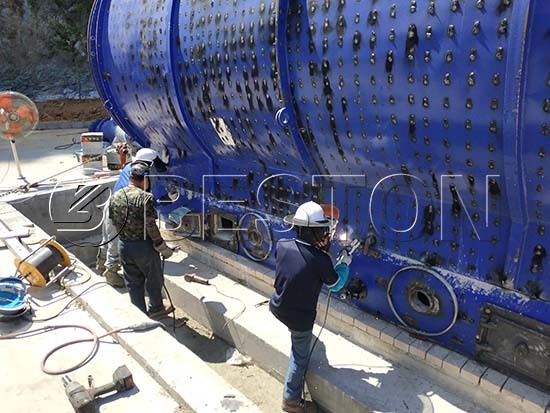 More importantly, we have rich experience and professional team to provide you with a customized waste tyre recycling plant business plan according to your real conditions. Here are pictures of the reactor. The continuous tires to oil machines can work for 24 hours a day without a stop. Moreover, the combustible gas generated during waste tyre recycling process can be used to heat the reactor continuously to save your fuel costs. Our tire 2 oil plant is safe and easy to install and operate. Except for the advanced components and systems, we also have some special designs. For example, there is a casing out of the reactor to protect the workers from high temperature. Meanwhile, it also keeps the heat inside to save your energy. Moreover, we also install pressure gauges and thermometers to check the pressure and temperature all the time. Once there is something abnormal, the automatic alarming system will work the first time. 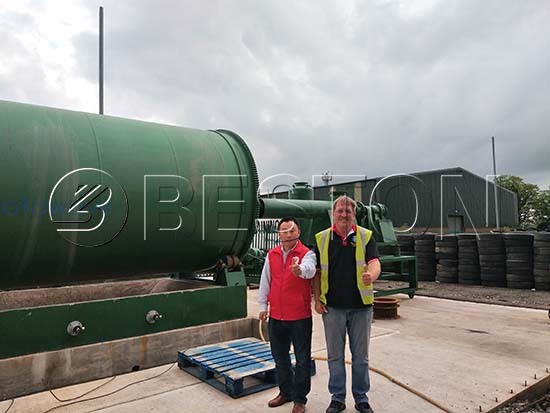 The tyre pyrolysis machine for sale from Beston is absolutely safe. Also, our professional engineers will be on site to help your installation. 1. Put the waste tires into the pyrolysis reactor and rotate clockwise 0.4-0.8r/min. Seal the feeding inlet door tightly and make sure that there is no gas to leakage. 2. Heat the reactor by using coal, charcoal, fuel gas, wood, etc. The reactor will be heated to 250℃ to produce gas. 3. The oil gas will come out from the reactor of the waste tyre to oil plant and become liquid oil through the condensing system. 4. The gas which can’t be liquefied under the normal pressure will be conveyed to go back to combustion system through safety devices. You can use the combustible gas to heat the reactor to save energy. 5. After finishing the production of oil, the reactor will be cooled down. When the temperature of the reactor falls down to 40℃, the carbon black and fuel oil will be discharged automatically. Here is a video of Beston waste tyre pyrolysis plant. You can also check Beston Youtube Channel for more videos. In fact, the waste tyre to oil plant adopts the famous pyrolysis technology. Besides tyres, it can also process waste plastic, waste rubber, oil sludge and so on. It really realizes the fiction of a multi-purpose machine and creates great interest for you. As available resources are squandered by human beings, recycling resources have already been a serious problem. Waste tyre to oil plant can effectively recycle waste into wealth. In recent years, the machine by recycling tires into oil has been popular among many countries. Beston Products has been exported to more than 20 countries, such as Brazil, the UK, Jordan, the Philippines, Indonesia, Brunei, etc. Meanwhile, we keep a good relationship with our customers and enjoy a good reputation all over the world. Due to the complete and high-quality waste recycling line, we have the honour to cooperate with the government. In June, the waste sorting plant, biomass carbonization plant, and waste pyrolysis plant in Uzbekistan have been put into use. 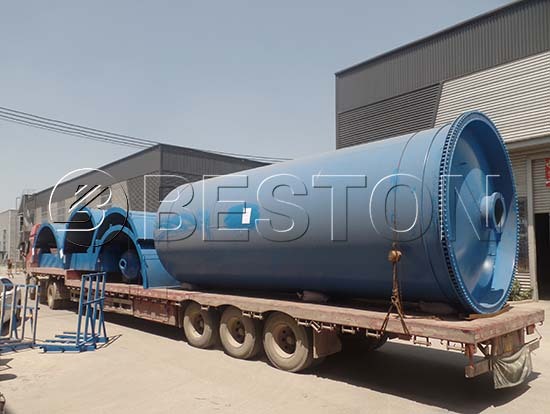 Beston Group is a global recycling machine manufacturer. With low manufacturing costs in China, we can offer customers the best tire recycling plant price. Besides, we have a professional team and rich experience to save your time and money. If you have any questions, please contact us now!